Holika Holika products feature unique, eye-catching packaging to appeal to young, style-conscious consumers, both female and male. They focus on offering high quality products made with the finest ingredients at affordable prices. Shopping at Holika Holika boutiques is a fun and exciting experience with uniquely designed stores that will surprise and delight you. 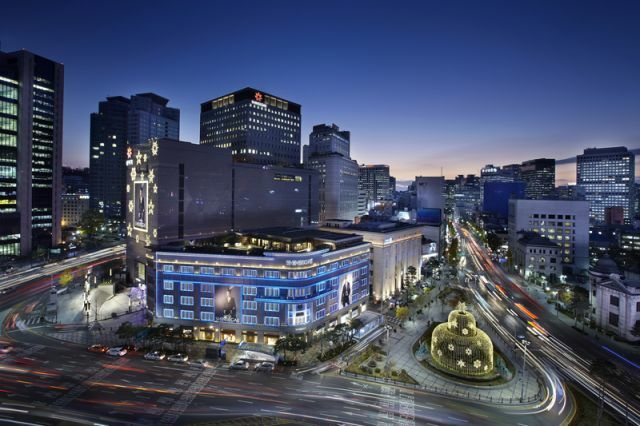 Shop at 6 uniquely designed Holika Holika stores in Myeong-dong, Seoul’s prime shopping district. Enjoy additional 5% on all Holika Holika products with Mastercard cards including sale and promotional items. Present your Mastercard cards and discount coupon when buying the Holika Holika products. didn't know this brand before I come to korea, it was not that expensive at all but their products are really good! and there are more stores in seoul, not only in myeongdong! When I was in Myeongdong street, I found Holika Holika and get into the shop. There are lots of cosmetics such as ficial masks, foundations, eye shadows and so on. I really wanted to buy 99% aloe gels of Holika Holika since it is popular among Singaporean people. So, I bought many aloe gels like 10 bottles. At that time, it was already on sale but I got extra 5% discount by showing a coupon of Baynaru. I was really happy to buy for the discount price. My friends were satisfied with it as well. Tip: You can download the coupon I used on this page. You should show this coupon and pay by mastercard. Korea is really famous for its K-beauty items. Among those unaccountable types of cosmetics, my favorite is facial mask. It really works for my skin and even very cheap! I bought a lot at here with extra discount. It was a real bargain. To buy a gift for my nephew, I visited this place at Myeongdong. The shop was bigger than I thought. Items are really fancy and eye-catching. Original prices are very good and even discount on that price. Highly recommend! I'm very interested in K-beauty so I visited several cosmetic brands at Myeongdong. And since I was able to have 5% additional discount with baynaru coupon on holika holika products, I visited this place. At first, the package of each items are so special. It was very unique. And the product itself is very good. I was really satisfied with the product in very reasonable price. [By Taxi]-Show this note to a taxi driver.